Congratulations Mom and Dad Block! Before the weekend gets started, and everyone leaves early to get a jump on the Valentine’s Day weekend celebrations, we wanted to take a quick moment to recognize one of special clients. Last weekend, Chris Block and his wife welcomed their first baby to the world, and to their now growing family. 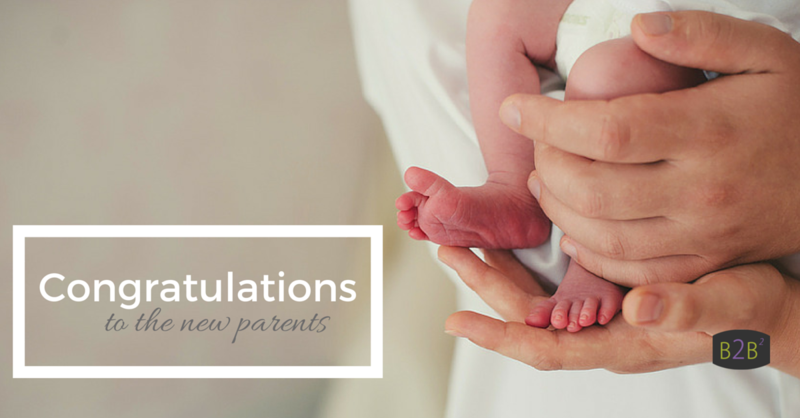 And, for reasons of privacy we’ll not go into details about the bouncy new addition, but instead, just take moment to pass along our congratulations and our few words of wisdom. Did, I mention sleep when you can? And, finally… try to sleep. We wish you many blessed days filled with laughter and memories going forward! ~ your friends at Back2Basics!